Northerner turned southerner, Ben is a senior designer at Webb deVlam. 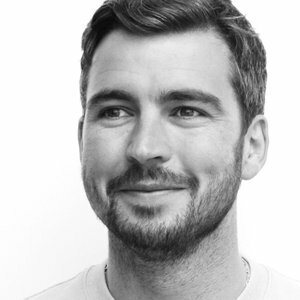 With over 10 years professional experience, Ben’s career covers the creation and development of own-label identities for large national retail chains, through to the transformation of billion-dollar global FMCG brands. Having spent the last 5 years as a key member of the Webb deVlam family, his talents have supported the team to create award-winning work across prestige, FMCG and corporate categories. His pragmatic approach and eye for detail has helped deliver engaging consumer focused work for Proctor & Gamble, Kimberly-Clark, William Grant & Sons, Bombay Sapphire and many more. When not tackling creative challenges you find him either cycling, wild swimming, skiing down mountains (trying not to break more bones) ...or in the pub.